After two WTCC-based RACE titles, Simbin is back in a proven environment by releasing GTR Evolution. 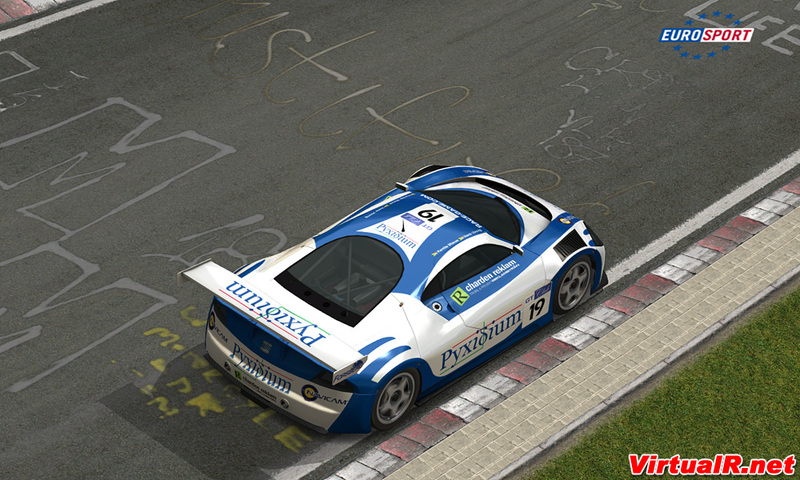 Is the newest Simbin tile just what GTR2 fans have been waiting for or is it not able to do the famous name justice? Read the review to find out! 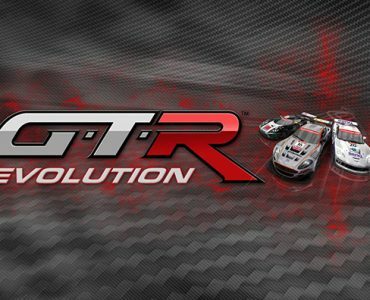 GTR Evolution is sold both as expansion to RACE 07 and as standalone game. Since most of you are probably aware of the RACE07 content, this review will solely focus on the new content that GTR Evolution is bringing into the mix. GTR, GT Legends, GTR2 & RACE. All these Simbin/Blimey titles have one thing in common: They focus on a single licensed series. 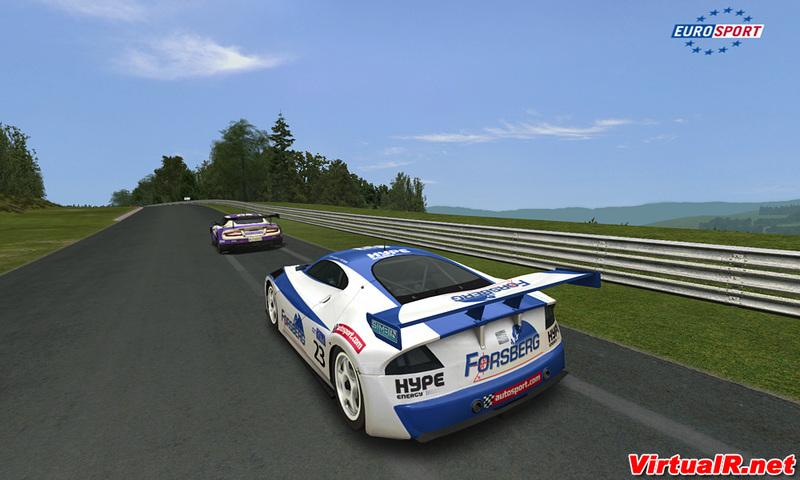 By releasing RACE 07, Simbin left this road, turning the game into more of a general racing simulator and GTR Evolution is a further step into that direction. GTR Evolution features a heap of new cars in three different categories. The bulk of them are GT cars, spread into three different classes. 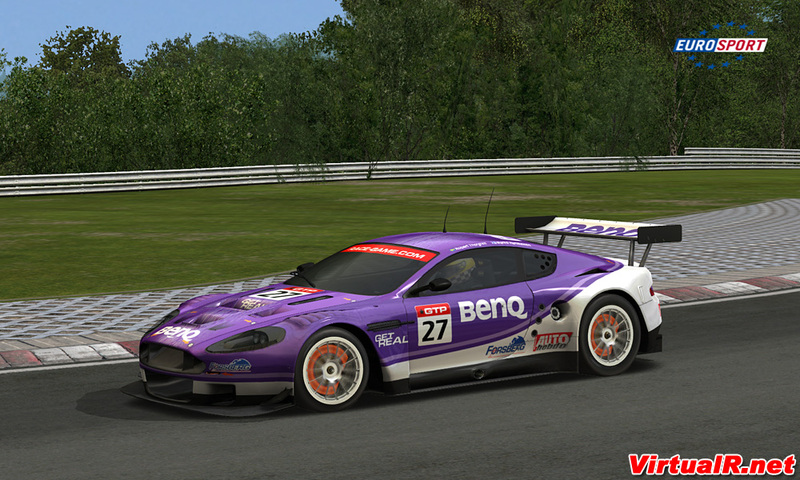 Known cars from GTR2 are paired up with brand new GT machines such as the Aston Martin DBR9 or more exotic race cars like the Audi R8 GT. Porsche and Ferrari fans will not be happy with GTR Evolution though as the game lacks both prestigious makes due to what was probably a licensing problem. To make up for that, Simbin has packed up a very exiting mix of cars that represent almost all concepts of modern GT racing. While the cars themselves are real, the liveries aren’t. GTR Evolution isn’t based on any real life series, featuring mostly fictional liveries. Even though some real cars like the Gulf Works Aston Martin can be found, most cars sport fictional liveries that have been sponsored by various companies. The positive side of this is that Simbin had remarkable artistic freedom, allowing them to balance the cars for close racing. Instead of one or two “killer-cars” in each class, every GT car in GTR Evolution is competative within its class. This does not mean that all cars drive or handle the same, every car still has realistic and unique physics. While the Audi R8 GT is a handful to drive, the Corvette C6.R is easier to be quick with – In theory and depending on your driving skills, you can reach about the same lap times with both cars though. This will benefit online racing a lot as nobody will be forced to drive a certain car just because it’s the most competitive. 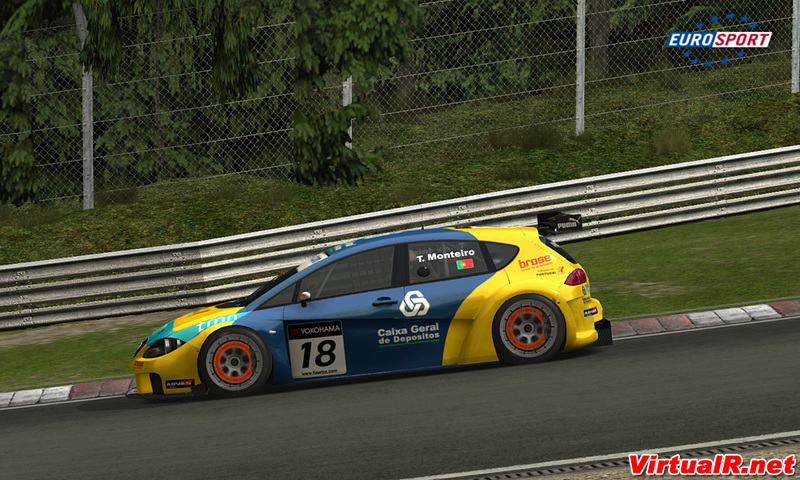 Alongside the GTs, the game brings another new class of cars – WTCC Extreme. 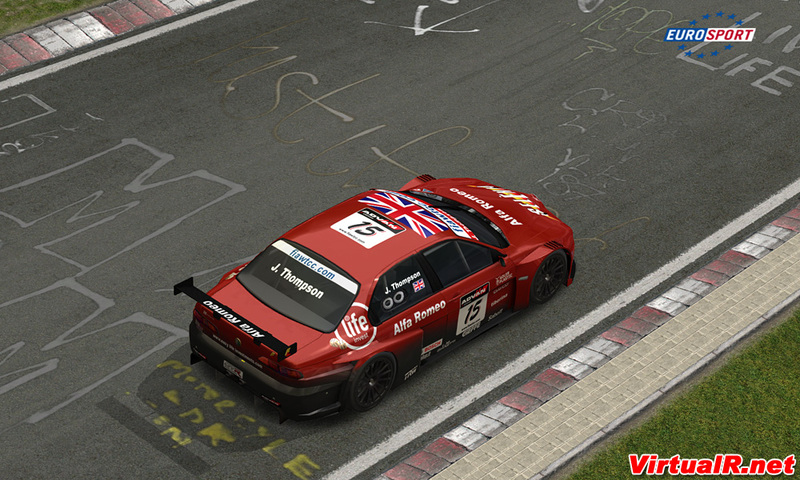 For the first time ever, a Simbin game includes completely fictional cars as Simbin has taken the World Touring Car Championship to the next level. What if WTCC cars had 600hp engines, wide-body kits and rear wheel drive? 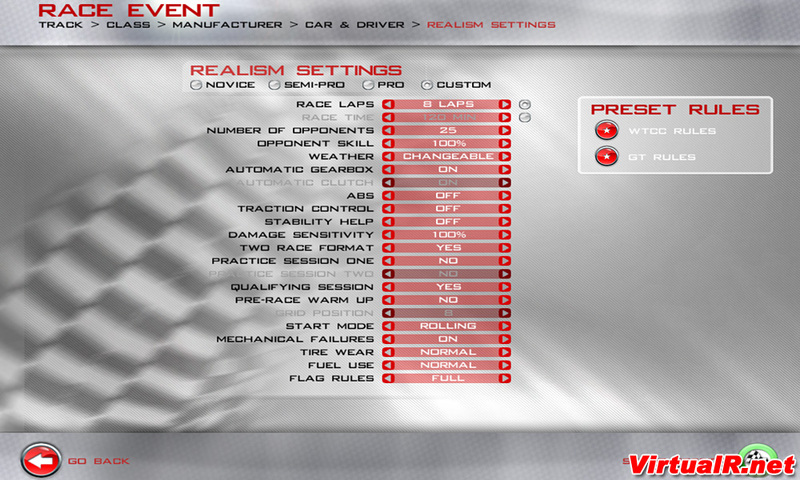 WTCC Extreme shows how it would be – and WTCC officials should definitely take a closer look! The cars are not just great looking and sounding, they drive like a blast too. Even though the cars themselves are fictional, Simbin has not created unrealistic-looking freakshow cars – Those cars could very well be real – in a perfect racing world, they would be. The biggest flaw of the WTCC Extreme class is the limited car count. 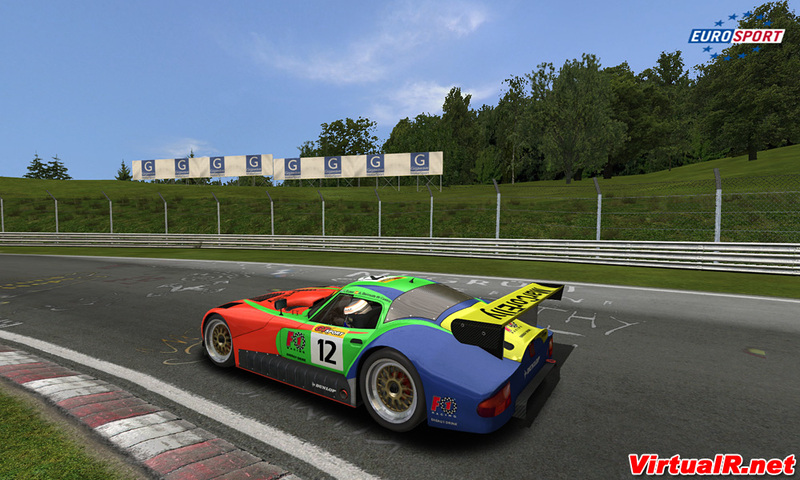 Even though there are four different cars from Chevrolet, BMW, SEAT and Alfa, Simbin has only included the factory car liveries. Why have the privateer WTCC cars have not been included? 13 cars are barely enough to have a proper race, the community will need to step up and add more WTCC Extreme liveries to make the concept fully work. Last, and somewhat least, GTR Evolution also features some road going sports cars. While the Nürburgring Nordschleife surely calls for some road cars, it’s somewhat disappointing to see the limited amount. You can choose from the Gumpert Apollo, Audi R8, Dodge Viper & Koenigsegg – That’s it. Why is there no BMW? No Aston Martin? No Corvette? All of them are included in the GT classes, making the small road car class look like unfinished business. GTR Evolution adds only one track to the RACE07 lineup of circuits, but don’t be disappointed: It’s the mother of them all! 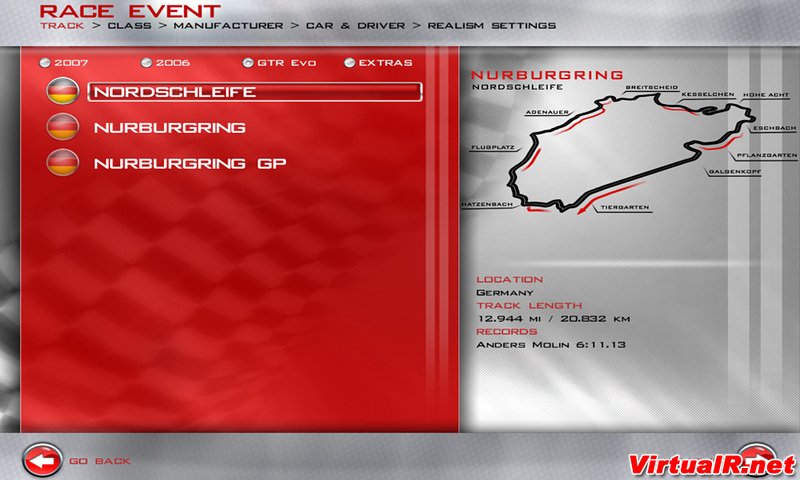 For the first time since GP Legends, a PC simulation features the Nürburgring Nordschleife in all it’s glory. This surely isn’t the place to explain in detail what makes this track the most stunning of motorsport venues. Feared, respected and loved by many famous race drivers, the Nürburgring Nordschleife is the ultimate test for every driver’s skills, a 16 mile string of corners, crests and bends that require a lot of time to be learned but return pretty much the greatest driving pleasure one can find. GTR Evolution includes the Nordschleife Tourist version, the VLN version which combines the short version of the GP track with the Nordschleife as well as the GP circuit alone. Interestingly, the GP circuit already includes the new main grand stand which, in reality, is not much more than a big hole in the ground right now. GTR Evolution utilises the well known gMotor engine that has powered all past GTR and RACE titles and thus, you shouldn’t expect many improvements. The usual Simbin eye-candy like animated driver arms, rain, working vipers, exhaust fumes and such are all there – Sadly the animated pit crew from GTR2 has not been included as the pit lane is a ghost town again. The new cars fit in right with the “old” models from GTR2, professionally modeled like one would expect. Again, there is no quantum leap here, nothing to be too stunned about. It’s all quality work but not exactly pushing the envelope. There’s not much to complain about the cars despite some ugly low-res textures in the street car cockpits. Track graphics are top notch as Simbin has a reputation for building quality tracks. Even though the Nordschleife is four to five times longer than your usual race track, Simbin has made no compromise and created a stunning representation of the green hell. The track layout is 100% spot on, every curb and bump is where it belongs. The only major graphical flaw of the Nordschleife ist the missing draw distance as hills and trees can be seen popping up in the distance at some points, even with the highest possible graphic settings. While the overall quality of the track is much better than any modding Nordschleife, Simbin’s Ring does lack a little when it comes to atmosphere. 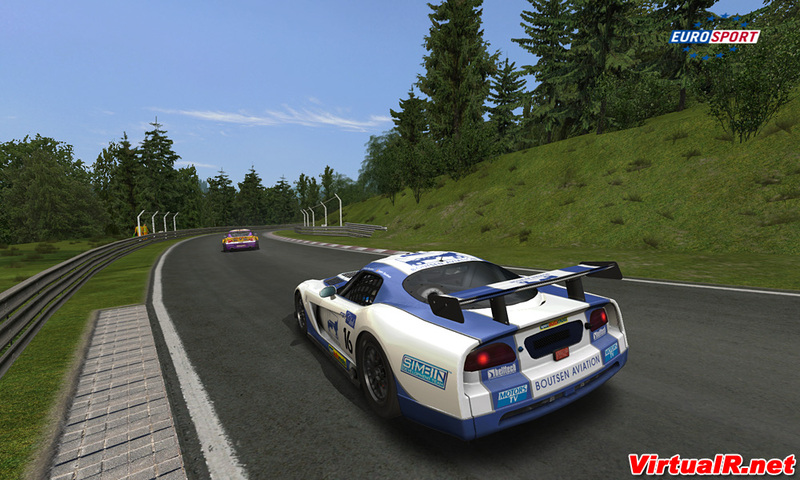 While the rFactor Nordschleife (which is also available for RACE07) comes with plenty of atmospheric details such as campers, fans and campfires besides the road, Simbin’s Nordschleife feels a little empty when it comes to trackside objects. Even worse, there are no tree shadows at all which robs us of the almost claustrophobic atmosphere of some track parts where the shadows of the dense forrest make the trook look even narrower. But, those details aside, the Nordschleife comes close to being brilliant. 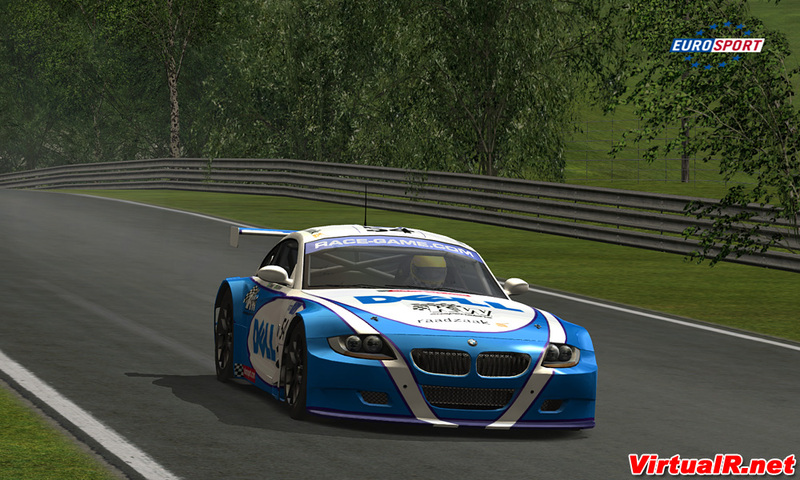 Personally, I´ve never felt too comfortable on any modding Nordschleife. This is by no means meant to be disrespectful towards the creators, it’s just a feeling I can’t explain. On the GTR Evolution Nordschleife, I felt right at home and was instantly able to find a good rhythm and get comfortable with the track. It’s easy to become addicted to it as every lap provides 7 to 9 minutes of pure joy. Unlike the graphics, some real improvement can be found in the sound department. In the past, Simbin has had mixed luck with sounds. GTR2 had some painful wrong ones and I wasn’t too impressed by the RACE sounds either. GTR Evolution changes that as all new cars sound excellent. It’s not just that most of the sounds are pretty much spot on, the cars sound much more alive now. You don’t have the feeling of listening to a repeated sound sample but rather than to hear a race car at work with all the screaming, squealing, pinging and whining that is involved. Talking about squealing, tire sounds are very prominent in GTR Evolution, giving you excellent feedback of what the tires are doing. You can be sure of not just feeling it once the car starts sliding – You´ll gone hear it too. Of course, this can all be adjusted in case you don’t prefer it. Ok, we´re getting to a somewhat touchy subject now as I´m quite sure there will be some discussion about the physics. Since the most of us never had the chance to drive any kind of competition race car, let alone a 600hp GT car, nobody really has a real idea what’s right or what’s wrong. In my opinion, the physics have been improved over GTR2 as the car is giving even better feedback now and feels more alive. If you´re one of those who feel that realism equals difficulty, GTR Evolution will probably not be your cup of tea though. The cars feel pretty grippy and if you´re looking for cars that take ages of adjusting just to keep them on the road you better look elsewhere. I´m not saying that GTR Evolution is easy to handle, not at all. Once you drive the Audi R8 GT on the Nordschleife, you´ll have your hands full of keeping the car both at a quick pace and in control. Force-Feedback has also been improved, giving you excellent feedback on what the car is doing. Combined with the new tire sounds, there really is no shortage of feedback while driving. 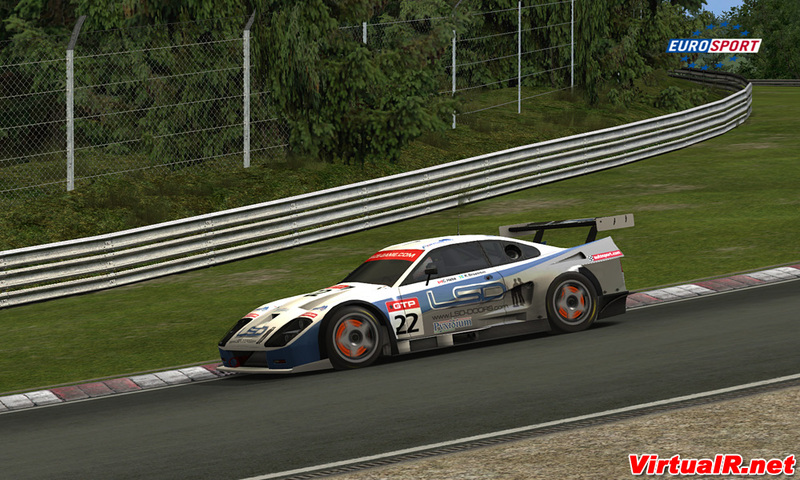 When you´re used to GTR2 or rFactor, you´ll feel a little let down by the way that GTR Evolution restricts some things. The sleek menu design is both good looking and easy to handle, sadly it does not offer the same customizing options than other simulations. The basics are all there. You can either run a test session, a single race or a full customised championship. 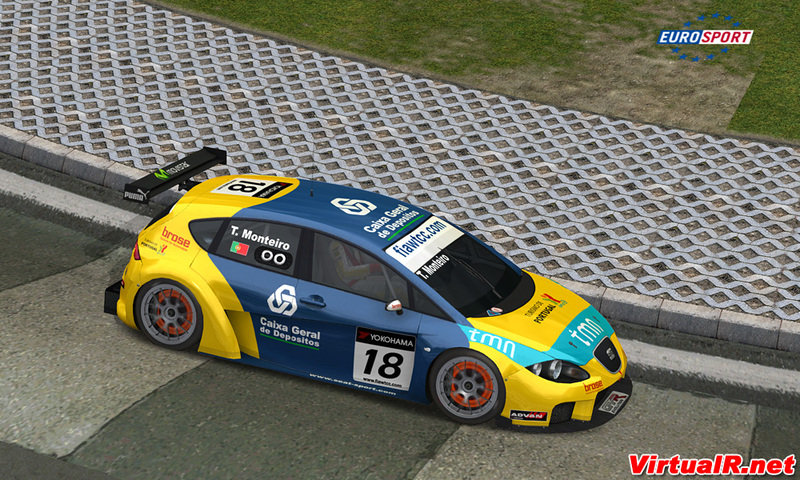 You can switch from touring car to GT rules by a simple click. The GT racing rules have not been fully included though. Why can we only race against 25 opponents even though some classes and most tracks are able to handle more cars? Why can’t races be longer than 120 Minutes? 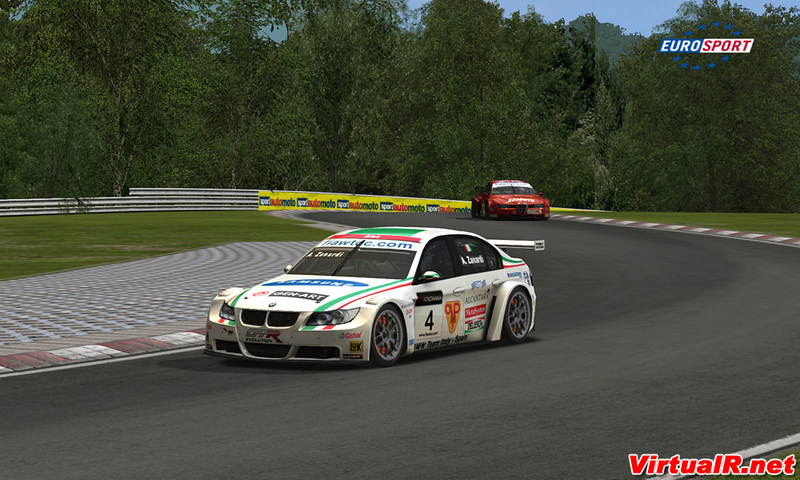 RACE07 was made with sprint racing in mind and that shows quite often. Night racing is not supported, you can’t even set a custom start time. Even though the car set up is as extensive as you would expect it to be, why is there only one slick compound to choose from? 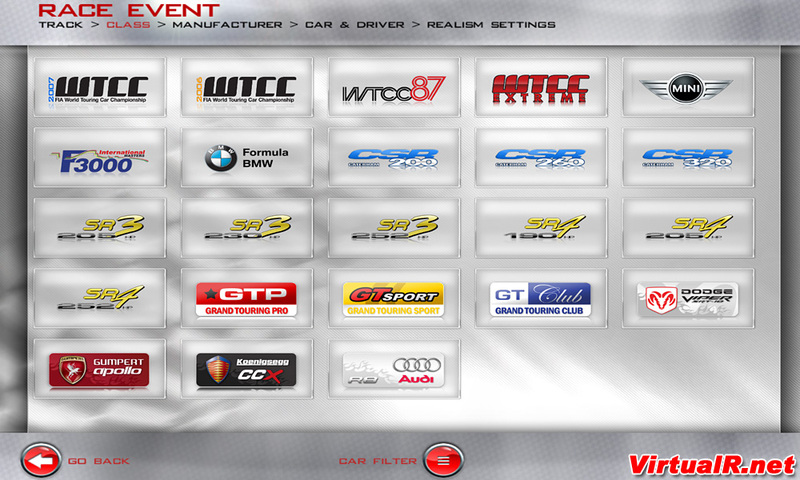 All this shows that the GT cars are just an addon to a touring car/sprint racing simulation. 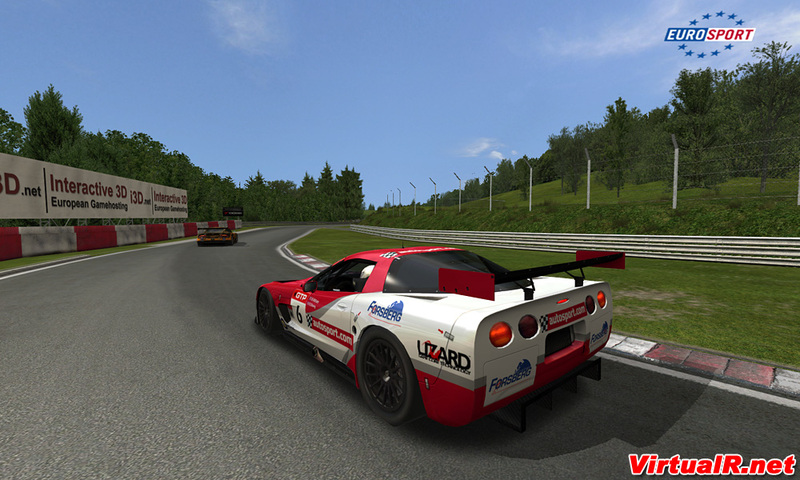 When it comes to hardware requirements, rule of thumb is that if RACE07 ran fine for you, you´ll won’t be having any problems with GTR Evolution. The Nordschleife is quite a hardware hog though and even if it runs smooth for most of the time, be prepared for the occasional slow down here and there. Those of you hoping for a new modding-friendly simulation won’t be liking GTR Evolution much as all files are encrypted once again. 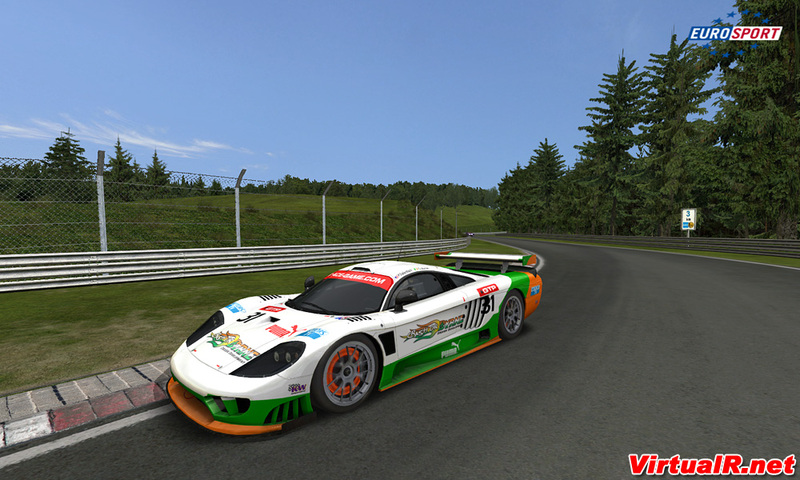 However, there is a certain degree of modding support as RACE07 addon tracks works like a charm in GTR Evolution and Simbin officially supports community painted skins by releasing painting templates soon. So, let’s get to the all important question. Is GTR Evolution worth its price? This questions is not as easy to answer this time as GTR Evolution comes both as addon-package and as full version including RACE07. If you love GT racing and/or the Nordschleife, the 20 Euros are well spent on the expansion pack. You won’t find a better Nordschleife anywhere in the sim racing world and the GT cars are a blast to drive despite the simulation not being fully suited to endurance racing. If you’re just after the WTCC Extreme and/or the road cars, the pack provides not too much value. 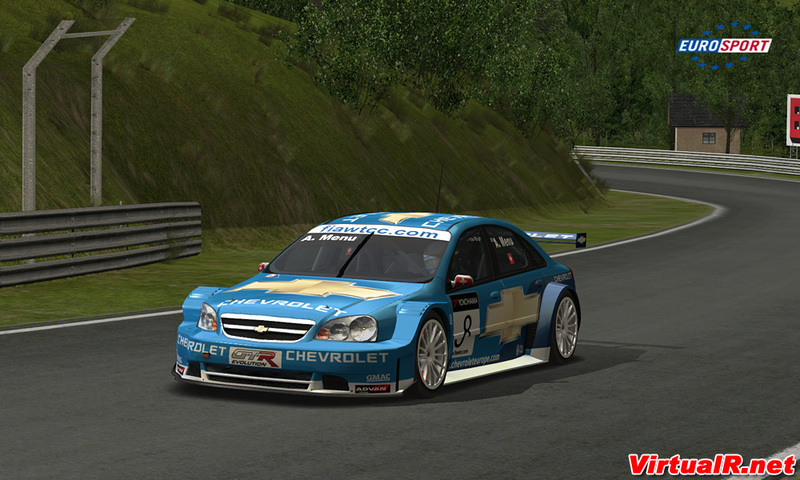 Even thoug the WTCC Extreme cars are fun, there are simply not enough of them for proper racing. And the four road cars don’t really justify the price either. Speaking about the full version, GTR Evolution is easily worth its price if you like road racing. 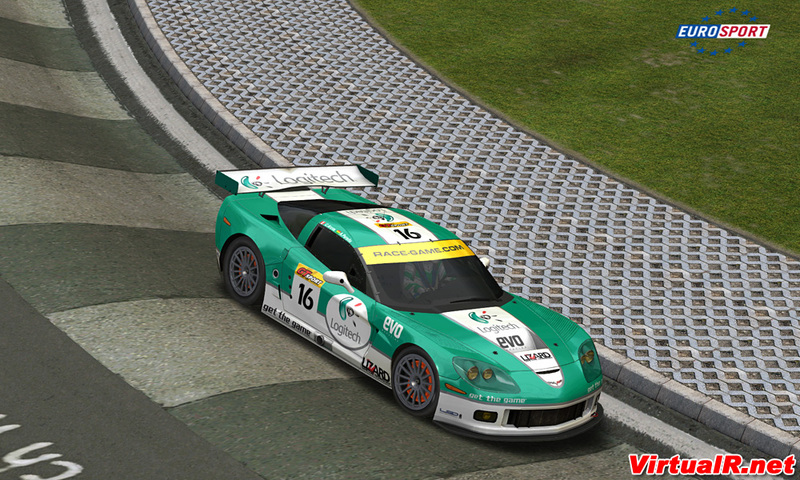 The full game provides a stunning amount of tracks and cars that represent almost every form of modern circuit racing. Looking at what other company’s charge for that kind of content, GTR Evolution is a true bargain – Especially in the US where the full version is sold for a ridiculous price of just 20 Dollars. 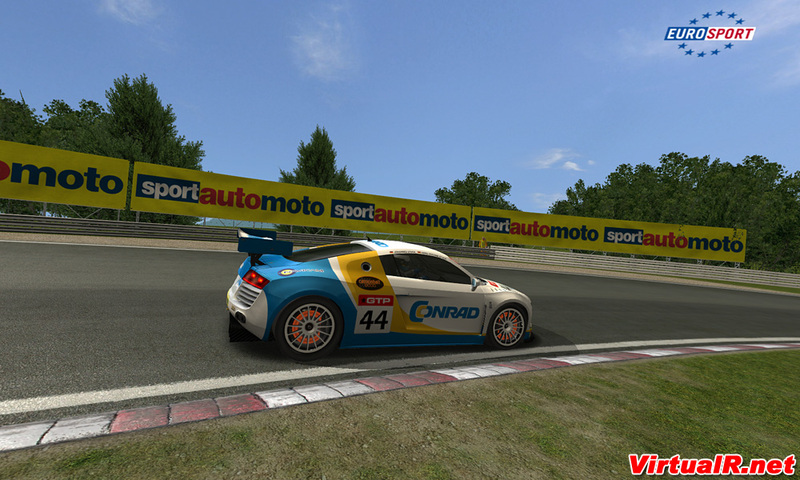 The bottom line is: If you´re looking for the modding freemdom of rFactor, the amount of settings & endurance racing abbilities of GTR2 or a whole new, ground breaking simulation, you´ll be disappointed with GTR Evolution. 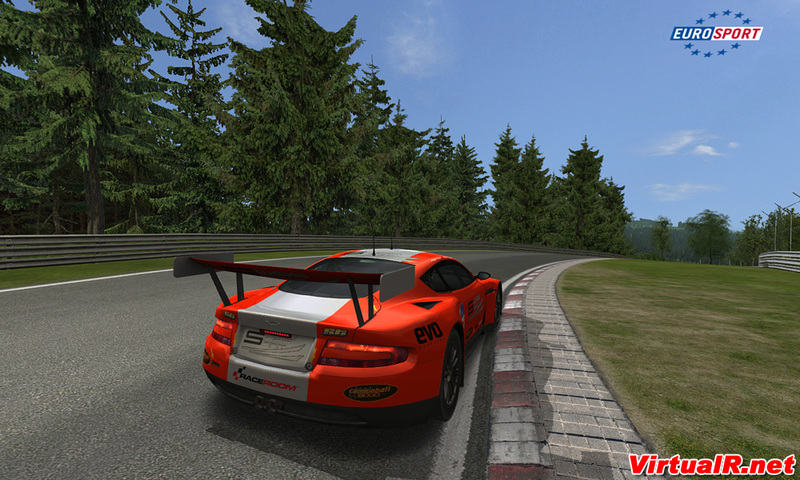 If you love the Nordschleife and want a good looking, great sounding, feeling and challenging simulation with good stock content then this game is for you. GTR Evolution does not raise the bar but it provides great driving pleasure on the most challenging race track in the world. i totally agree with you. 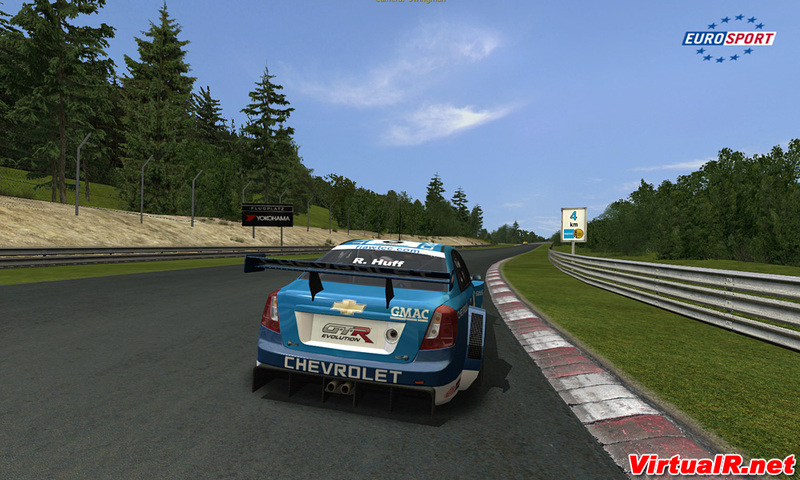 I didn’t feel comfortable with the modded Nordschleife as well. Especially since i did a real ride in a formula car there in May this year (it’s called “Zakspeed Formel Erlebnis Nordschleife”. 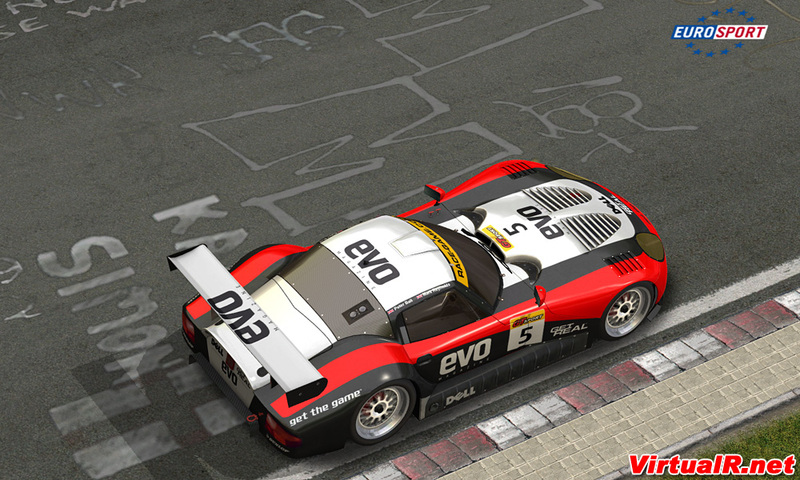 Check it out, it’s worth the money if you got it: http://www.zakspeed.de). Riding around the ring in GTR Evolution in a Formula 3000 with helmet view is as close to the real thing as one can get, believe me. Great review. You covered all the major points and even a couple I didn’t realise. Didn’t even notice no tree shadows on the Nords. 🙂 Probably was too busy keeping the car on the road, heh. Thx for your reply. This seems to be exactly what I expected from GTR Evo. It hardly excels in any department, but as an overall package it still is a good game. They still talk about 29:th day here in Finland, that’d be very nice. Have to check situation on next Friday. This is my first title from the new SimBin Studios and I’m amazed by the sounds and a little bit disappointed by the graphics. 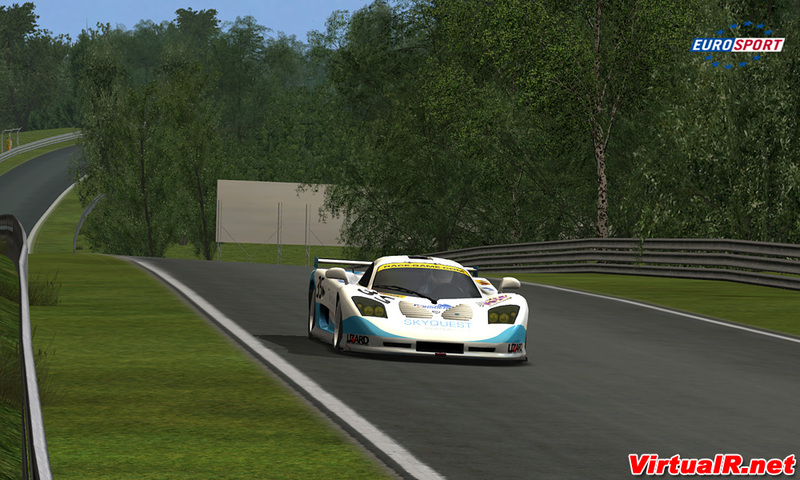 GT-Legends/GTR2 with it’s awesome light shading and detailed tracks looked and performed better. 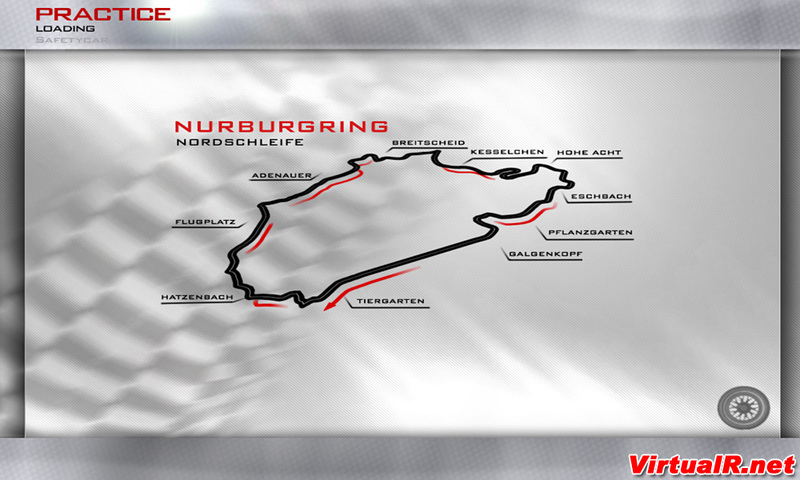 Especially the Nuerburgring GP looks “clean” and empty. Anyway, it’s fun and the high grip level feels very good. Why on earth put music in a video thats purpose according to its maker was to show off its sounds? for the amount of cars in 1 race, can you go into the track gbd and change like you can with addon tracks in race 07? or arethey encrypted? Great review ! I can’t wait ! As “me” said, it’s a bit sad there’s such loud music on the video. We can’t really hear the engines. @Slowest: I understand your point but It was created to watch not to study. You’ll find lots n lots of unedited, boring captures of the NS with ingame sound @ YouTube. @Rob: Kannst du gerne einbinden, kein Thema. 3) This was recorded in real time so racing at 25fps doesn’t help. Sorry for the sound, I had it too high and it distorted so I had to lower it to compensate. Great review, a very good summary of the game if you ask me. Top job! I especially recognize the part you write about the Nordschleife, the fact that it just ‘feels’ right in terms of flow and rhythm. Nice balanced review, the positive and negative things summarized in perspective. Personally I think GTR Evolution is a game Simbin never should release. @Tappi: Don’t get me wrong, the video is really great to watch, with nice cam views, etc. But you presented it as a “sound show”, and it wasn’t, due to the loud music. Anyway, it’s still one of the best videos i’ve seen so far ! All i can say is decent game i suppose but im so tired of the tired old physics and visuals coming from simbin. Thank the heavens for iracing. That some contradiction there, sonny! Looks like this doesn’t add enough to justify going out and buying the game. I am very let down by this review. Not that the content that is there doesn’t look good, just not enough of it. Paulie you obviously havent seen iracing or maybe even know what it is? iracing has nothing to do with simbin,its visuals and physics are light years ahead of simbins offerings. why its so difficult to add more cars and include day&night race? 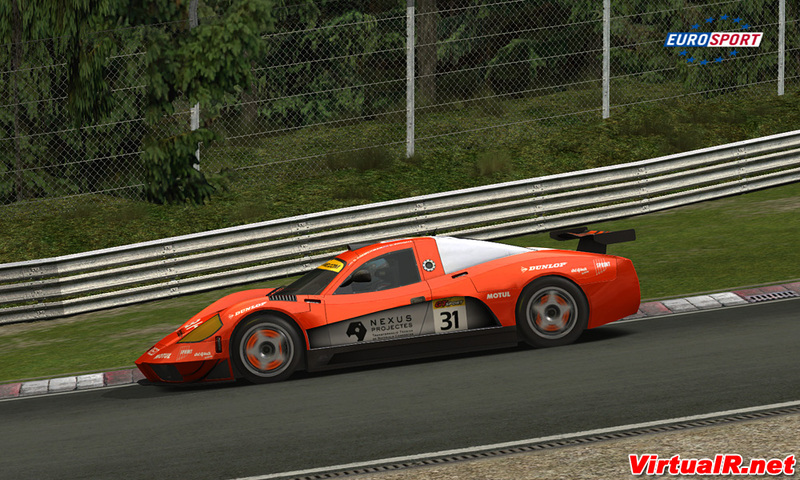 i think we see all the cars and tracks soon in rfactor with day&night simulation . @me: I have iracing for about 7 weeks now. (only 3 days left and won’t renew) I won’t judge about the physics, although i don’t like them, but the graphics are definitly outdated! The Simbin graphics are way better than this, and this is obvious! LOL Schoelle are you for real? GTR Evo has certainly proved to be a fun expirience. i agree that sounds are top. overall feel is ok. on the graphics and detail side i still feel GTR Evo is sort of fast food. 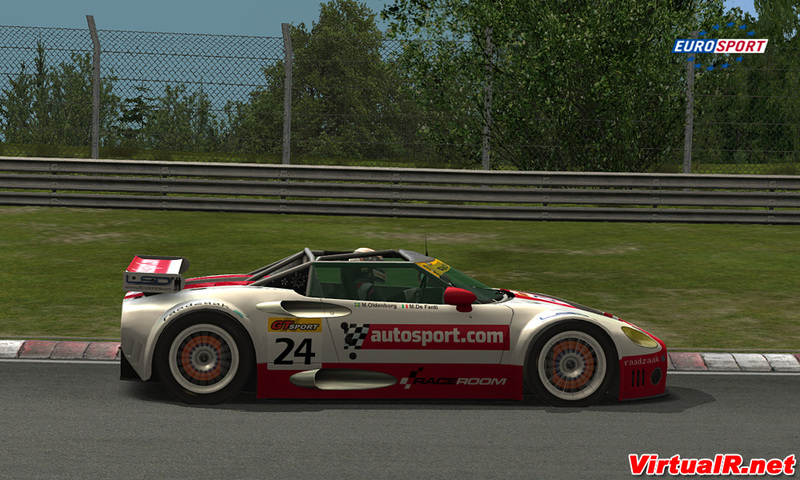 the models dont come close to the original GTR2 ones ,tough the polycount is way higher. the textures are very moddest, and lack detail . also on the downside is the replay mode. no atmosphear in comparison too GTR2. overall i like GTR Evo allot. big fun , worth the money without a doubt. now hope there will ever be a GTR3. But it is not the subject of this article, is it ? I agree with schoelle about the graphics. I’d take any Simbin titles visuals over iRacing any day. Though iRacings physics and tracks are better, but not light years ahead. After a month of iRacing I came back to GTR2 and I’d improved my overall pace which demonstrates that iRacing is successful in that department. 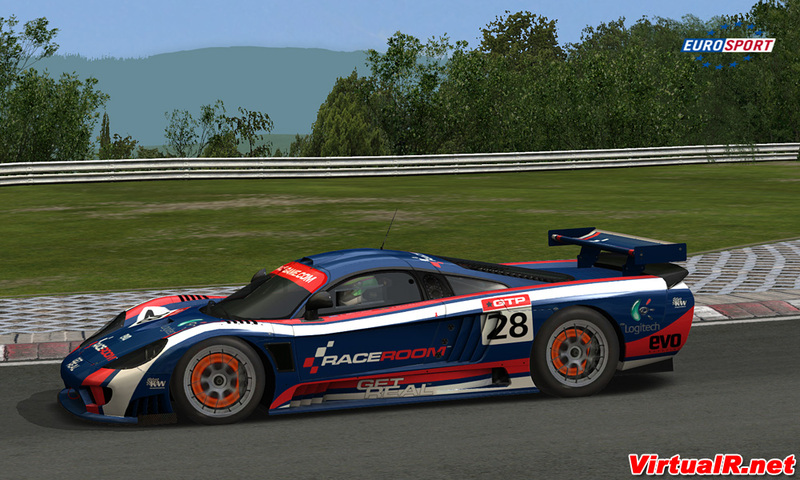 But I didn’t enjoy the overall iRacing experience at all and have left it well alone since! @me, what are you talking about? Ok, laser-acanned tracks, clean races, very good physics I suppose (will definitely try it once its open to public) but all videos show nothing “years ahead of SimBin”. It looks worse to be honest. Couldnt be other way, since hat everyone says its the same NR2003 engine with some improvements, old and beaten like gMotor. Graphics is not supposed to be the strong point of iRacing and it clearly isnt. Just as expected, no big deal, a good package of cars based on a great sim and Im buying it for sure. iRacings physics may be better but that is not the issue here. You said their visuals were better but iRacings “visuals” are nowt special in any shape or form. @all that are interested in some GTR Evo Vids, this guy has already made some onboard videos and will make some more i think. @Paulie,where did i say iracings visuals were special? I simply said they are superior to gtr evo,which they are. But yeah you guys are right this is going off topic. what i dont understand here is how the hell all comments these days end up in a ” how does it compare to iRacing ” situation. it seems that every iRacing fan is trying to get a statement out. dont do it on GTR-Evo comments guy´s. its like comparing trains to airplanes. they both have their uses, but dont need comparing. I do have to say , what i do not understand why all the iRacing fans are all over the web on NON iRaing discussions. what is the problem? if iRacing is the best , then it will need no propaganda… if it is not , it will die out itself. its the Netcar story all over again. i guess if people want to compare iRacing against something else , it should be LFS. 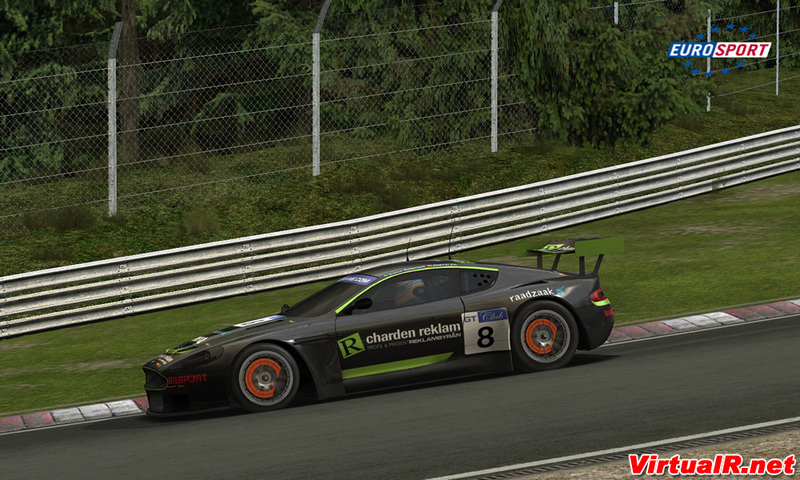 and being a GTR2 modder , and rFactor user, LFS is still the best allround sim out there. lets all do what we like and share experiences. lets stop trying to force our own likes and dislikes. state what you like and dont like. dont start world war 3 because your neighbour likes his beer colder then you. Agreed on Wix. The biggest problem iRacing has at the moment are a couple of extremists spoiling it for the big group, flooding forums dissing any racegame that isn’t iRacing. Note to those people: don’t. You’re making a fool out of yourself and you’re embarassing your community. Most of the people here are grown up adults who are able to compare and choose themselves. Hmm if you move the R to the right you change from GTR evolution to GT Revolution. @ F1Racer, are you german? if not how the feck did you get a copy, considering it is only released in germany, at this moment. agree with you on the sounds. This is what a sim should sound like. Total immersion. Best i’ve heard yet all around. Well comparing to rFactor/GTL/GTR/GTR2/F1Challenge/NFSPS/Grid. Dont get it ?? Maybe you shluld go back and play toca rece and driver then ?? 2. What makes this the best simbin game ever ===>>> you can add ai playes to multiplayer… This has not been pointed out in any review. Still it,s a big thing. 3. Have played gtr2 for ages and think gtr evo is better then gtr2. in every way. Already dowloaded over 100 tracks and mods. Still need a good mclaren mods and more coming out all the time. So if someone sayed you cant mod it =>> wrong. You can mod it as much as gtr2. I wish GTR:Evo had night racing. I’m sure that will come in one of the next 15 $20 add-ons based on this engine.